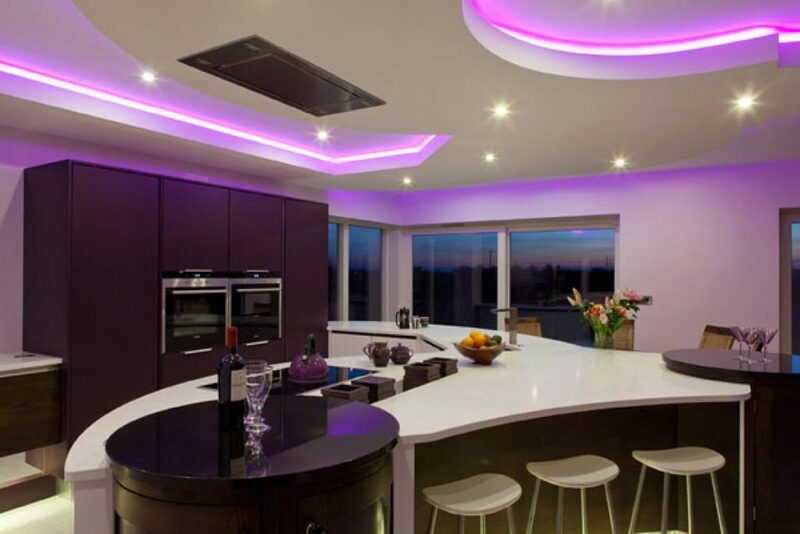 After pink color comes the purple color that is the favorite and popular color among ladies and as they spend their time in the kitchen more than any other area of the house, girls love to be surrounded by their favorite color. This is one of the brightest and loveliest colors for any area of the house and can give a beautiful look to the kitchen and the women in the house would love to spend time and dine over there. 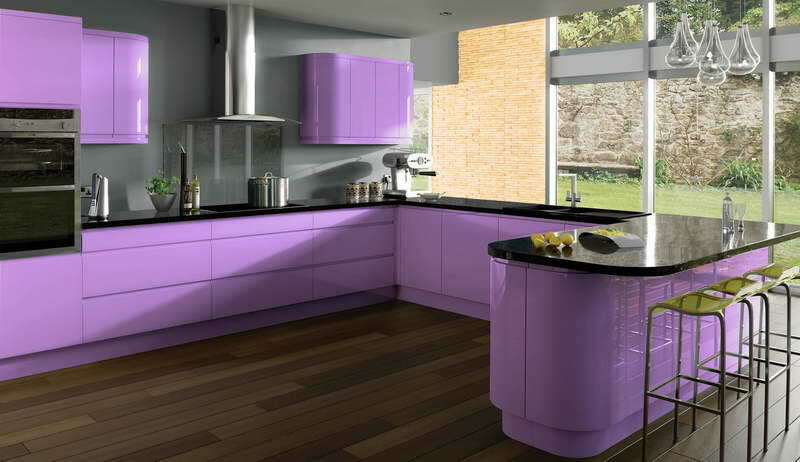 Although purple is a very naive color but still, you can make it look even better by adding different combinations to it. 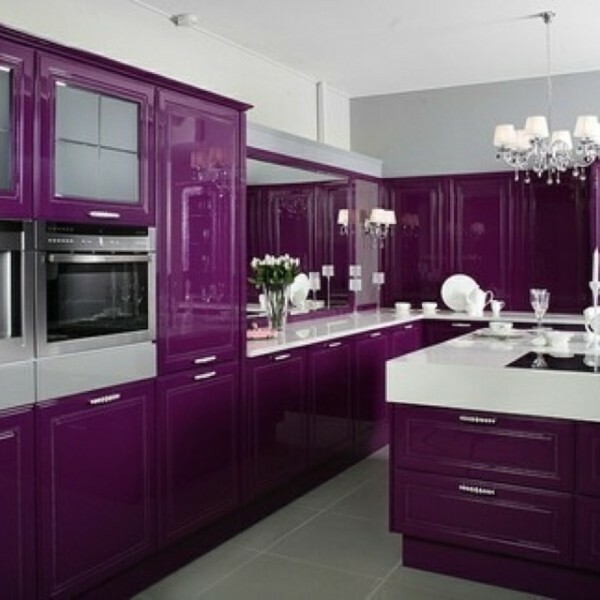 If you chose purple for your kitchen cabinets, paint your walls with black and get gray shelves and sink for dish washing it will end up well, and you can get white ceiling too with it. 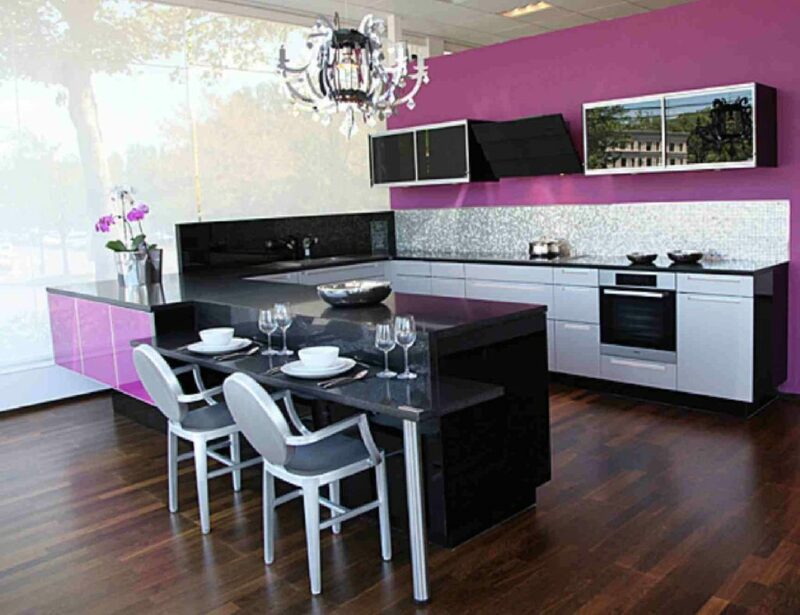 Another idea is that you can also get black shelves and cook range with purple paint on walls and gray accessories in the kitchen and decorate it with white vases with purple flowers in them, then it will look great. 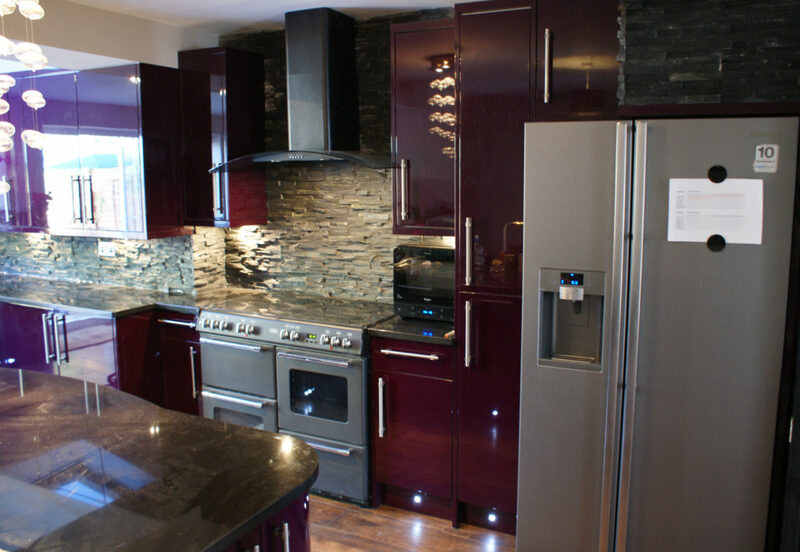 A positive point of choosing the purple theme for the kitchen is that whatever color is added to it, it turns out to be something naive and beautiful. If you select light brown shelves with purple cabinets and black vases with purple flowers in it, it will look amazing too by the addition of cream wall paint. 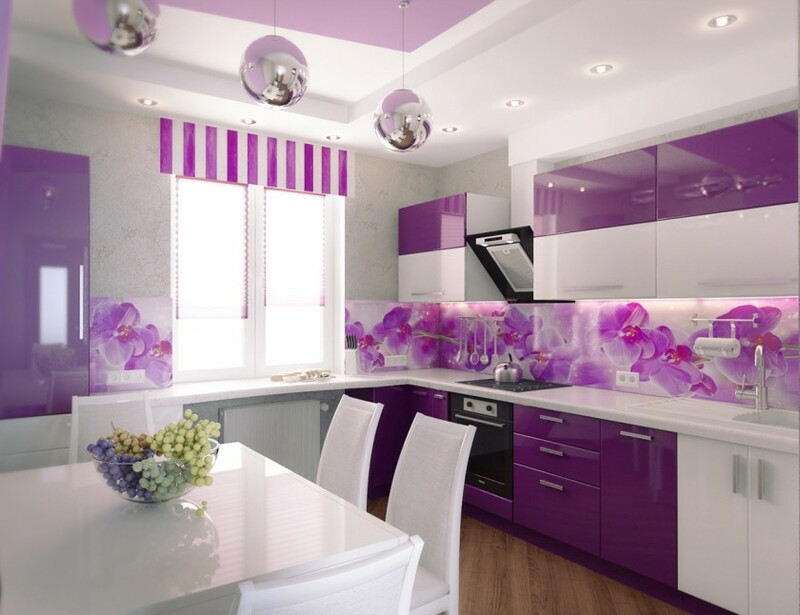 You can get white shelves with purple cabinets and add a touch of purple to white accessories with white paint on the wall; it will also look good. 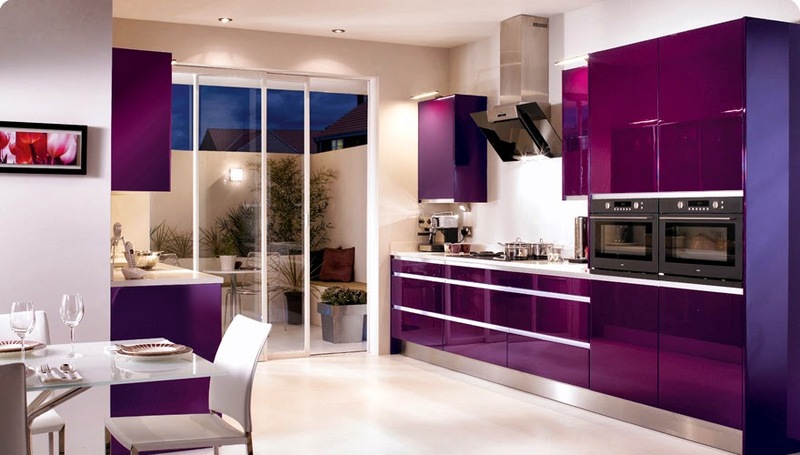 Remember it is not necessary that you go for a dark or bright shade of purple only, you can also get plum color cabinets with crystal green shelves and sink and paint your kitchen’s wall with cream color. 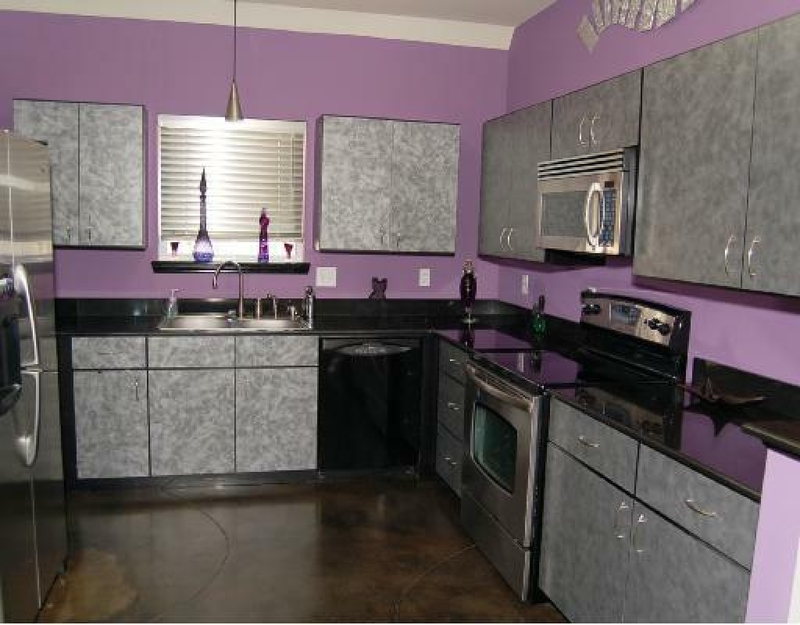 If you want a combination of purple with green, then you can get light purple cabinets with light green paint on the wall and white accessories. With this combination, dark or brighter colors will not suit with each other. Neon Style Lights to decorate Walls and Ceilings!